Sugar, Palm Butter, Wheat Starch, Glucose Syrup, Glazing Agent Shellac, Colours E171. Sugar, Palm Butter, Wheat Starch, Glucose Syrup, Glazing Agent Shellac, Colours E171, E120. Glucose, Sugar, Glucose Syrup, Wheat Starch, Glazing Agent Shellac, Colour E171. 30g of edible 4mm high shine pink pearl sprinkles. 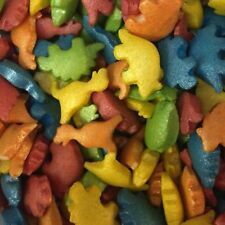 30g of edible multicoloured sugar shiny dinosaurs. TAKE A LOOK AROUND. 30g of edible pink sugar hearts. STORAGE & USE. 30g of edible green and white sugar dinosaur sprinkles. 30g of edible 6mm high shine red pearl chocoballs. 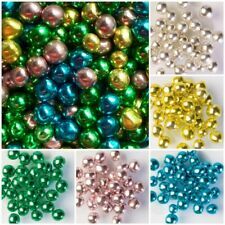 30g of edible 4mm high shine silver pearl sprinkles. 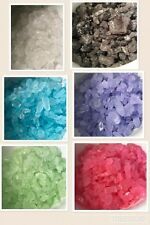 30g of edible multicoloured sugar pink lilac and white confetti, perfect for cupcakes or any baking projects. 30g of edible multicoloured sugar shiny stars. TAKE A LOOK AROUND. Titanium Dioxide(colour). Yellow 6, Yellow 6, Red 3, Blue 1. Soy Lecithin. Cellulose Gum. Corn Starch. Partially Hydrogenated Vegetable Oil(cottonseed &/or soybean). 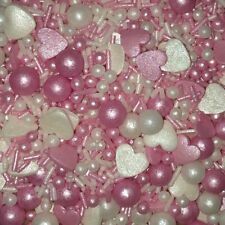 30g of edible pink and white sugar hearts with pink pearls. The black bats are sure to add a spooky look to your bakes! Cake Decorations. Thickner Tragacanth. Rapeseed Oil Hydrogenated. Rice Flour. 30g of edible bright coloured numbers and strands. Halloween Witches Hats, Broomsticks & Ghosts Cake Cupcake Decorations Sprinkles 25g. Allergic information 1: Peanuts. Sugar, Palm Butter (100% RSPO Certified), Corn Starch, Potato Starch, Rice Flour, Colours E171 & E120, Glazing Agent: Shellac.